Financial stress is affecting millions of Canadians many of whom are concerned about their lack of savings. 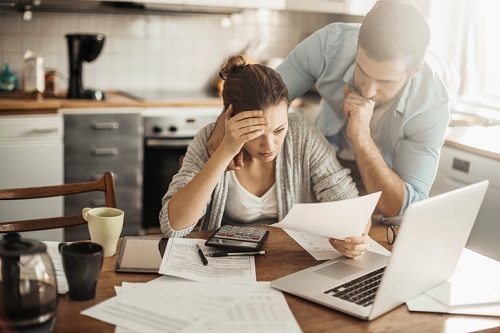 A survey by Vancouver based financial advisors Seymour Consulting found that 43% of respondents said they were somewhat or extremely stressed by their current financial situation. Around a third said that they are stressed about being able to meet their mortgage payment or rent, and a similar share said that they are concerned about their ability to buy a home in the next five years. While saving for retirement is the biggest source of financial stress (73%), the proportion of respondents who say they are worried about being able to meet monthly expenses (53%) and managing their overall debt load (60%) is also worryingly high. Just 45% of respondents said they were somewhat or extremely satisfied with their current financial position. Those in the Maritime provinces, especially New Brunswick and Newfoundland & Labrador, are most likely to be dissatisfied and more stressed financially. The emotional stress caused by finances is not confined to low income families either; 63% of those earning less than $25K are joined by 49% of those bringing in $25K-100K, and 35% of those earning more than $100K. Women (53%) and millennials (58%) are most likely to report extreme emotional stress related to their finances.